Many insects eat leaves as their main food source. Stick insects and caterpillars can’t do without their own particular food plants. It is therefore very important that you can recognize the food plants so you can pick the correct leaves in your garden or forest area. 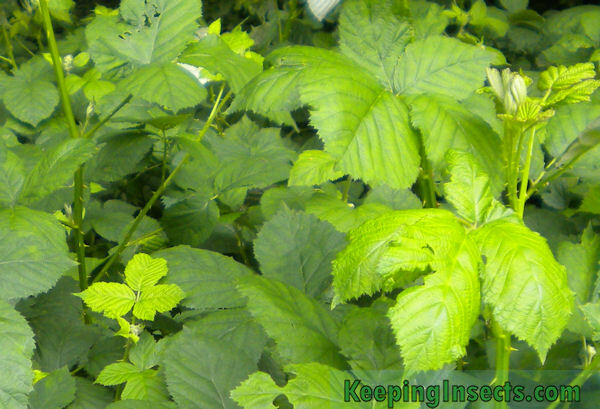 The most imported food plant is bramble. It is eaten by many species of stick insects and is an excellent food source. The extra bonus point for this plant is that is stays green in winter. Even if it is freezing or there is snow you can find fresh bramble leaves as long as the plants grow in a semi-protected area like along a wall or house. 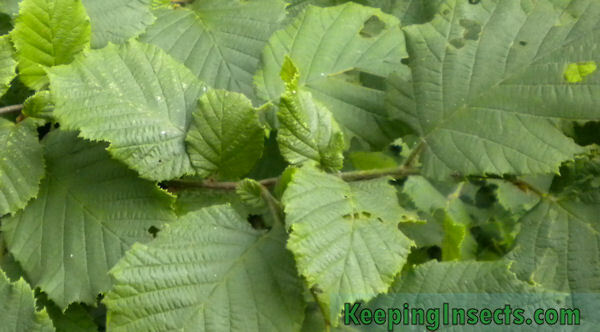 The fresh bright green leaves of bramble can be poisionous to stick insects. It’s better to feed the older, darker leaves and wait for the new leaves to become bigger and less bright green. 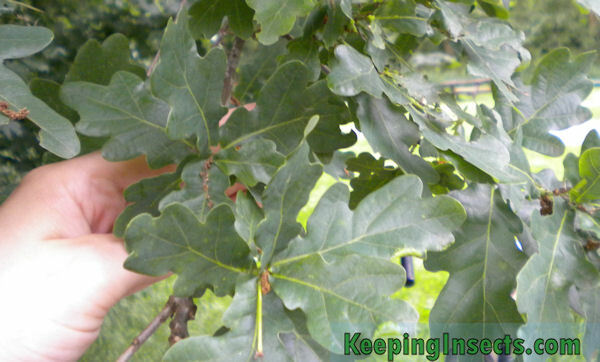 Also an important food plant is oak. It is also eaten by a lot of stick insects and leaf insects, for example Phyllium sp. Phillipines and Extatosoma tiaratum. The leaves do not stay green in winter, so it is not a food source all year round. Hazel is also a popular food source for stick insects. It unfortunately does not stay green all year round. 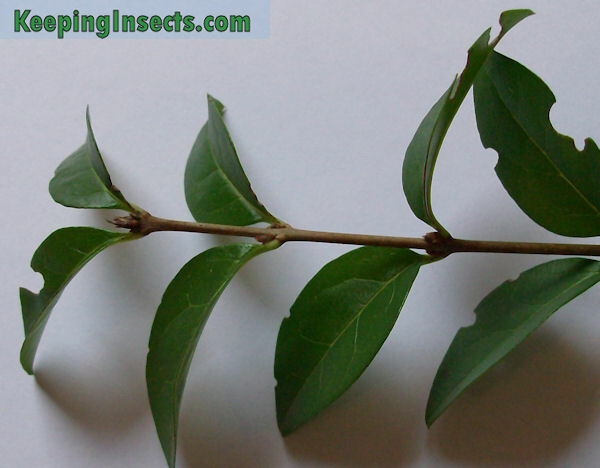 Privet is eaten by some stick insects, for example Peruphasma schultei, and it is the main food source for caterpillars like Samia cynthia. 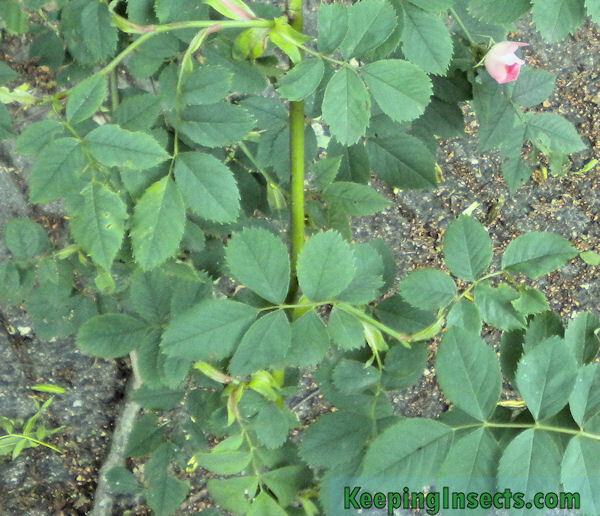 The leaves of rose bushes are eaten by many stick insects, mostly by species that also eat bramble. Do not feed rose leaves that are bought in stores, because these are sprayed with insecticide. Some species of stick insect can live exclusively on ivy, but not all species do. 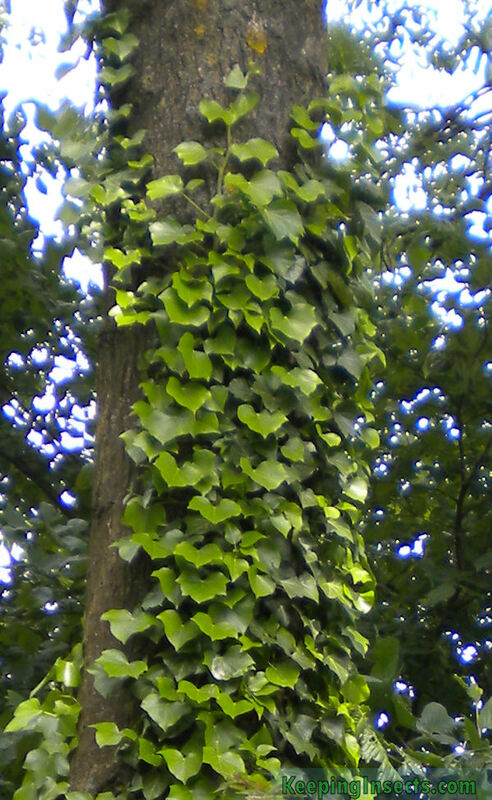 Ivy is an easy food source because it stays evergreen and can be easily found.